After the strongest first quarter in over 30 years, gold has pulled back from some of its recent gains. The culprit for this recent turnaround is a change in the messages from various members of the Fed. This has caused expectations to shift to the possibility of the Federal Reserve raising its benchmark rates sooner this year instead of later. These prospects for a rate hike even as soon as this summer have caused the dollar to strengthen and helped to push gold prices down over 3.5% for May so far. The question remains if the Fed will be able to see potential rate hikes through or if it will come down to wishful thinking in the end. This past week's FOMC minutes showed the Federal Reserve members have begun to rethink their March meeting dovishness. 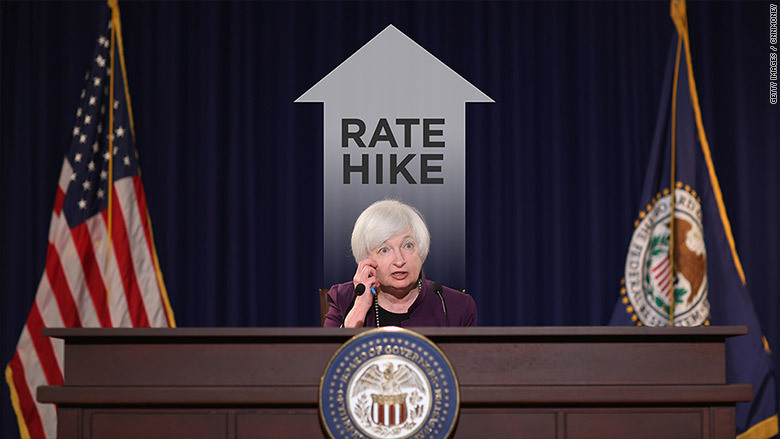 Adding more fuel to the rate raising fire was the lineup of Fed speakers who started signalling to the markets last week that the market is not taking seriously the potential for additional U.S. rate hikes. The coincidences appear to be a unified message emanating from Fed chief Janet Yellen and company. The parade began with two separate regional Federal Reserve presidents discussing the possibilities of even two or three rate hikes by the end of 2016. Powerful William Dudley, President of the New York Fed clearly stated that the Fed preferred a summer rate hike to start the rate cycle rolling if the U.S. data continues to be solid. Fed Futures were not even completely pricing in the reality of a single hike by year's end as of last week. Monday the rhetoric continued with Fed officials talking about the dangers of interest rates remaining overly low for too long. They stated that this might lead to financial instability. To counter this, they said that the central bank of the U.S. hopes to keep raising interest rates next year as well. Still more policymakers from the Fed will speak this week. They are now widely anticipated to argue in favor of a first rate hike over the next several months. If this happens, it will create headwinds for gold. The precious metals are always sensitive to upward movements in the interest rates because the opportunity cost to hold gold becomes higher versus interest yielding instruments. A first U.S. interest rate hike in June or July now appears increasingly likely. Whether the Fed will actually raise interest rates on more than one occasion is still unsure. No one can say with certainty that the American economy is strong enough to withstand the tightening impact of multiple rate rises. There are also major uncertainties hanging over the global economy and what the impacts of U.S. interest rate tightening will mean for the rest of the world. Remember that the last rate hike in 2015 led to a stronger US dollar and had wide ranging implications. The dollar rally caused devastation for emerging market stocks and currencies alike. It made the Chinese Yuan devaluation situation so much worse and almost caused a global stock market bear market with the lows in February of 2016. Worsening uncertainty in the United Kingdom and the potential for similar effects with the U.S. Presidential election also will surely give the Fed pause for thought before tinkering with rates too much. Consider that the uncertainty in Britain regarding the possible Brexit from the European Union is already feeding into the significantly weakening economic momentum in the U.K. The possibility of a British exit vote in the June 23 referendum is very real. U.K. treasury has recently released a report on the impacts of a withdrawal from the European free trade block. Treasury states that if the British vote to leave, the uncertainty surrounding the event will cause at least a 3.6% drop in British GDP and the loss of minimally 500,000 jobs. Withdrawing from the trade block would lead to a deep, immediate, and long lasting economic shock throughout Britain as the country attempted to determine the new financial and trading relationship with the rest of the European Union. Treasury agrees with previous assessments from the International Monetary Fund and the Bank of England that the results of this economic shock would would force Britain into a significant recession and create a painful rise in British unemployment. It remains to be seen if the Fed will want to be raising interest rates and creating global tightening conditions against the potential backdrop of a major downturn in one of the key G7 member economies like Britain. The U.S. could also be in for political and economic uncertainty of this nature with the upcoming fall U.S. election season. Recent polls that show presumptive Republican nominee Donald Trump potentially beating rival Democrat Hillary Clinton also herald an upcoming period of business uncertainty in the U.S. You should not forget that among his various ideas, Trump wants to tear up trade deals with the likes of China and renegotiate this (and possibly other) key economic relationship. Whichever side of the argument you favor, it is hard to deny that the ensuing economic uncertainty and even chaos this would create (at least short term to medium term) would not be conducive to economic tightening in the form of higher interest rates. 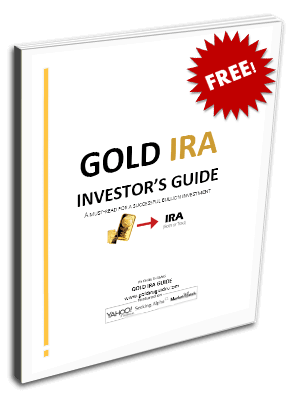 One asset that all of this very real potential uncertainty benefits is gold. It is too soon to buy into numerous rate hikes or to count the yellow metal out.